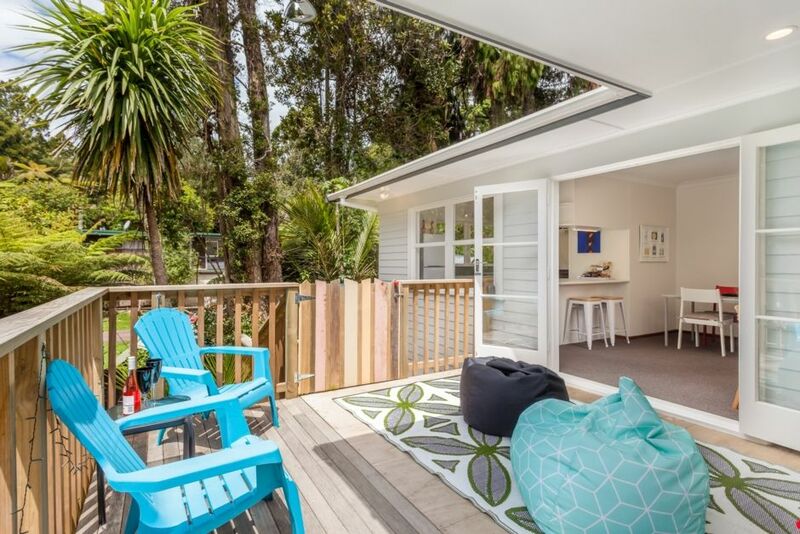 Titirangi is known for its beautiful natural scenery, including bush/forests abundant with native trees and birdlife, and easy access to local beaches. It is also the main township closest to Auckland's Waitakere Ranges Regional Park and the black sand West Coast beaches (including Piha and Muriwai). It has long been an area popular with artists and the eco-conscious. Nearby markets sell organic and locally produced foods, european baked goods, and arts and crafts. The house itself has been recently renovated and set-up as somewhere to relax after days spent enjoying all that surrounding areas have to offer. New beds are in all three rooms, completed by good quality linen and a touch of luxury with hotel-quality robes and other thoughtful extras provided. - Rental accomodation is the upstairs of the house, plus the lower level (internal) laundry. Basement and garage area are not available for guest use. We are a local Titirangi family, with primary school age children. We love this area and enjoy sharing it with guests who choose to stay in our property. Off-street parking for 2 vehicles (in driveway). Please note that garage is not available for guest use. No parking on grass please. Full size refrigerator and freezer available for guest's dedicated use. Milk, butter and supply of sauces/conditments provided. Coffee plunger and ground coffee provided. Selection of tea and instant coffee also supplied. Breakfast/snack starter pack supplied, as well as basic pantry items. Full kitchen with oven and cooktop, microwave, dishwasher, jug, toaster and supply of kitchen linen and dishwashing products. Cooking basics supplied (oil, vinegar, seasonings). Joanne’s place was super homely and comfy and we’d definitely be back. It’s on a nice quiet street with a quick drive to the village. The house was comfortable and suitably appointed. It was close enough to shops and restaurants. We loved the quiet setting of being away from the main roads and set back into the bush. The large lounge was full of big windows with AC as a huge bonus on hot days. We loved the separation between the living area of the home and the bedrooms. Easy check in and cleaning and linen included. Would definitely stay again. We had a great stay. Clean and bright. Everything you could need. Comfortable beds. Owners very helpful and responded quickly to our questions. Thank you. The house was in an ideal location for us & had everything we needed. We are a family of 5 & there was plenty of room for us. Enjoyed our stay there, thank you. 'Feedback' were complaints that we'd locked them out from a 2nd bathroom (we have no 2nd bathroom). In over 2 years of hosting these were the first really difficult guests we've encountered. Please refer to our other reviews for more accurate feedback.